Bear likes to keep his house clean and tidy. In fact, the only thing Bear loves more than cleaning is taking care of his small stuffed friend, Ursa. Then Bear sees a sticky spiderweb . . . and where there's a web there is certainly a spider! The messy guest must be found, but what Bear and Ursa finally discover might just be an unlikely friend. Opposites attract in this adorable story, where new friends come in all shapes and sizes. Jacob Grant is originally from Ohio, but now lives with his wife in a very windy city in Illinois. Day and night he can be found in his home studio drawing, painting, and writing until something feels story-ish. 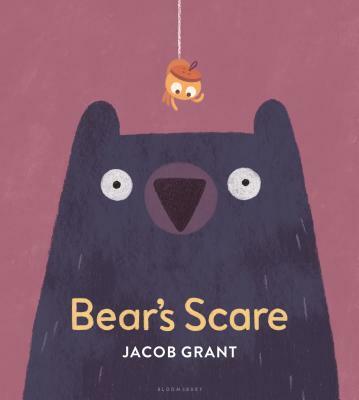 His debut picture book, Scaredy Kate, was released in 2014. Jacob tries not to use bad words around any little animals.